Using server hosting for your website is one of the best option and also a hosting platform where you can easily rely on. And the reason why choosing server is good is that you get more flexibility, reliability and also security on your web hosting. Not only that you can easily manage and handle your website. And when you buy a dedicated solution for your website you will be provided with the root access to the server and with the help of that you can easily install and run any applications on your server. As we already mentioned in dedicated host you get better security and all the servers are dealt with firewall and it is highly impossible to breach it. 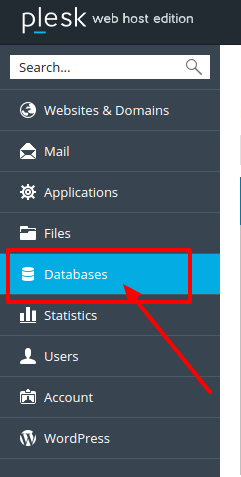 Today if you are using a dedicated host for your website and if you are looking for information on how to manage MySQL database with phpMyAdmin in a dedicated solutoon then here is the complete solution for it. This system is used to performing a higher level of database tasks like importing an SQL backup file or changing permissions on a database user. >> Now click on the phpMyAdmin icon and it will open in new tab and there you can edit it. How to use .htaccess rewrite rules? How can I Change my Website Default Page?